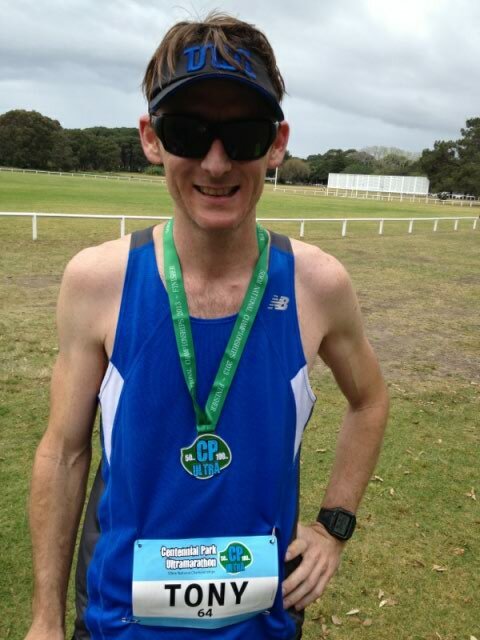 In September this year I completed my first ultra marathon at Centennial Park Sydney. I made the decision to compete in this race in April, I find I need a goal race to train for during winter and chose this race after reading some great comments regarding this race and the organisation of it. During my training for this race my partner gave birth to our first child together and my second, our baby boy came into our lives on June 13th and I didn’t estimate prior the impact this would have on my training for this race as I built up my endurance to run 50km. The sleep deprivation and time spent with our newborn plus a few niggling injuries along the way hindered some our my planned runs and I arrived at the start line somewhat underdone but confident, apprehensive and nervous about my first 50km. I had my nutrition plan nailed in training, my new Garmin 910 XT arrived in time any niggling injuries or illnesses were gone and I felt ready. The race itself couldn’t be a better organised or more enjoyable race atmosphere, the CP Ultra team were amazing making every runner feel like they were special to the event and I’d like to thank all the volunteers for helping me get to the end. The run itself was very challenging, 14 laps of Centennial Park was hard on the body and the mind. I gave myself a goal time of 4 hours due to my experience over the marathon distance and my estimated race speed. As I ticked off the early laps I was marginally ahead of schedule but running conservatively, by half way I was still ahead of schedule and running well. Things were on track, I was enjoying my running and the camaraderie between runners was outstanding. After 35km my legs were hurting and my mind was wavering due to the monotony of a lap race, something I’d not experienced before. I was still on target for a sub 4 hour finish and still confident. It wasn’t until about 40km when things started to go pear shaped, my legs were in a world of hurt and my pace had slowed. I was still on target for my goal time but it was fading fast. The last 10km was some of the toughest kilometres I’ve run, I walked a few times and struggled to the finish in 4 hours 23 min slightly disappointed at the time but really happy to be an Ultra marathon finisher. In hindsight, I underestimated the mental demands of a 14 lap 50km event, I was slightly under prepared physically but more under prepared mentally. Every time I ticked off a lap it got harder, with 4 laps to go I was dreading the next lap, I’m not sure you can train for this, I think it comes with experiencing these type of races. I am still really proud of the achievement and the event itself couldn’t be better. Thanks again to all the volunteers, this was one of the most enjoyable races I’ve ever been to. I’ve already pencilled this in on my calendar for next year and I’ll try again for a sub four hour finish. This entry was posted in Running and tagged Centennial Park Ultra, ultramarathon. Bookmark the permalink.